We’ve been having fun with yarn wrapped trees this year and we couldn’t stop short of making a pretty one for the fall season. 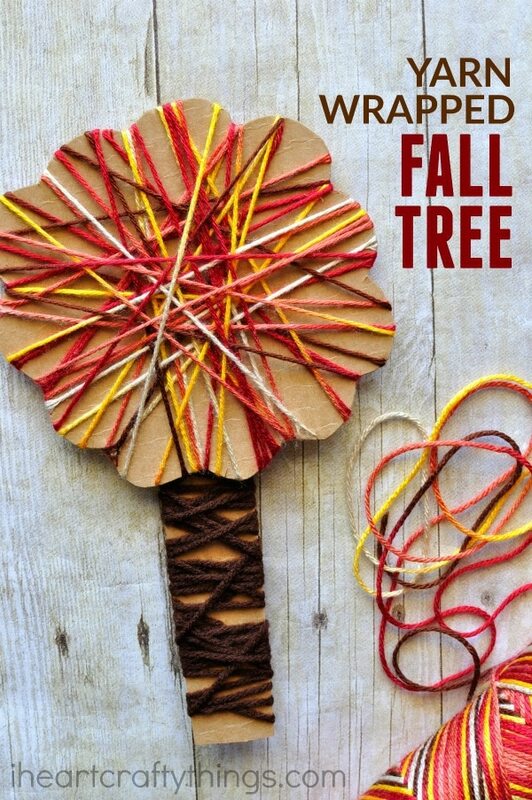 This yarn wrapped fall tree craft is not only gorgeous but it is also awesome for toddlers and preschoolers for working on strengthening fine motor muscles. You could also prep the activity beforehand and have it ready as an afternoon busy bag activity. 1. 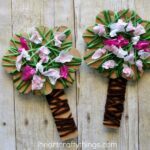 Start by cutting out a tree trunk and a tree top out of your cardboard. Thick cardboard works best to hold the yarn wrapping well. I like to go around the tree top and cut small slits around the cardboard to help hold the yarn in place when wrapping. 2. Cut off a long strand of your multi-colored fall yarn. Tape one end of it on the back of the tree top. Now it’s ready for the wrapping. Your little one can have fun wrapping the yarn around the tree top in any way they want. When they reach the end, tape it onto the back of the tree. We used duct tape for an extra secure hold. 3. 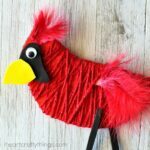 Cut off a long strand of your brown yarn and tape one end of it onto the back of the tree trunk. 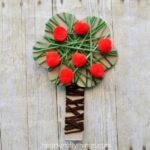 Now your little one can wrap it around the tree trunk. When they reach the end of the yarn, tape it onto the back of the tree trunk. 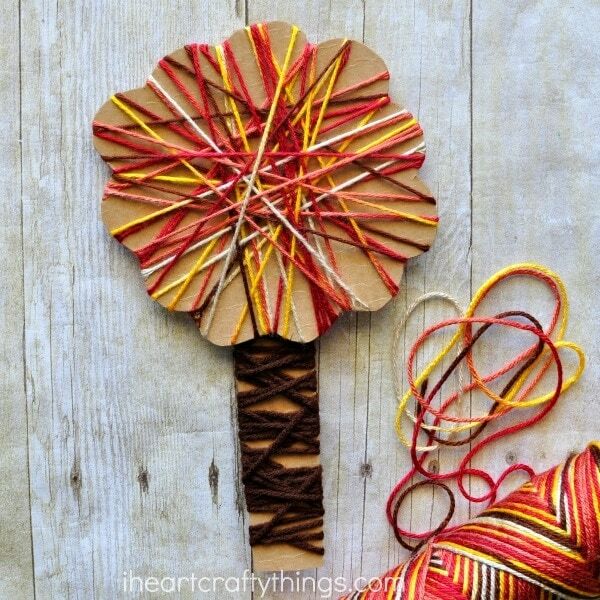 Tape or hot glue the two pieces together and you are finished with your yarn wrapped fall tree craft. awesome blog! it is my first time visit i here! I actually enjoyed reading through this posting. thankyou ! for more information visit our website.